I don't know if anybody here is interested, but in the spirit of crimsonaudio, I am posting daily articles about the 1968 election as of this past Tuesday. I began a new blog and using the Newspaper Archive, I'm researching day by day. Generally speaking, I rewrite the given articles at the time (cited below the blog) to communicate precisely what is going on at the time. Granted, this was before your time for some of you. Nevertheless, IF you are interested, it will be in the same vein as my poll articles on the football side. I won't be taking sides but merely passing on daily what happened then. Rather than backwards looking anachronisms (like the "secret plan to end the war" myth), it will be daily citations combined from (usually) AP articles. Join me if you wish. If not that's fine, too. Here's the first article. Will do my best to update daily. Governor Rick Scott of Florida is challenging Bill Nelson for his Senate seat. Mike Pence’s brother wins the GOP primary for his old House seat. Rep. Jared Polis came one step closer to making history on Tuesday night, winning Colorado’s Democratic primary for governor. If Polis prevails in November, he will make history as the first openly gay elected governor in the United States. Polis certainly is aware of the significance of this in the Trump era. A win for Polis in November would be a national milestone. Although former Gov. Jim McGreevey of New Jersey, a Democrat, made history by coming out as gay while in office in 2004, Polis would be the first openly gay man elected to a governor’s mansion. The 2018 midterms has become a big year for historic candidacies. About 575 women have so far announced their intention to run for the US House, Senate, or governor’s seat, the majority of them Democrats. Democrat Stacey Abrams faces an uphill battle in deep-red Georgia, but she has a shot at becoming America’s first black woman elected governor. 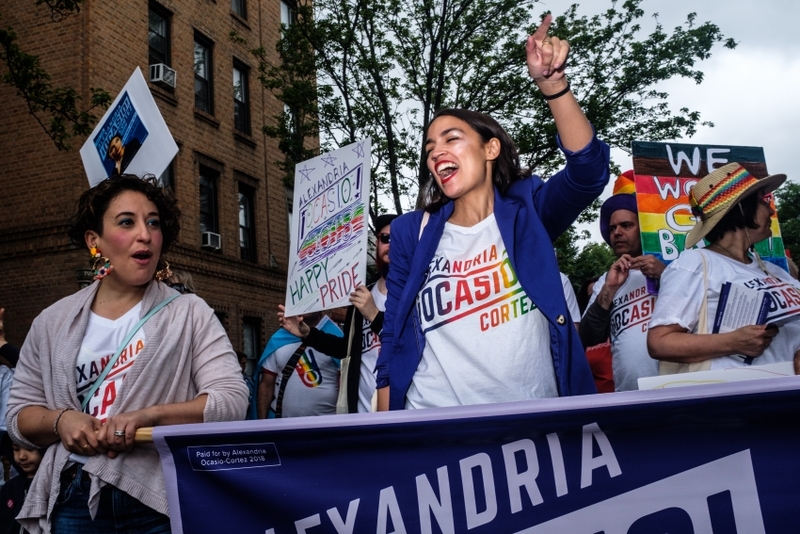 Though these candidacies have sometimes been characterized as part of the Trump resistance, it’s clear that the American public is starting to nominate candidates that represent the diversity of the overall population, not just straight white men. Comment section from NYTimes Op Ed regarding Dems desire to out Trump at the game of "going low". I am amazed at the level of pure hatred people have for him. I find it odd that so many want to get into a street fight with the man who perfected the art of "immature" politics. They think passion will win. What's going to happen is that the wave of progressives they will nominate will only serve to reinforce everything Trump said the Dems are. They are literally moving to prove him right. Last edited by CajunCrimson; June 27th, 2018 at 06:35 AM. In 2016, Montgomery transplant Tabitha Isner was looking to get involved. Donations, phone banking, door knocking — any option would have been acceptable to support the Democratic candidate challenging then three-time incumbent Martha Roby for her congressional seat. Isner had difficulty finding any avenue to support the challenger Nathan Mathis, and the implication that the race was a foregone conclusion didn’t sit well. Roby received 48.8 percent of the vote in 2016, with a concerted write-in campaign eating into her voter base and amassing 10.7 percent. Mathis, the only Democratic candidate to file for the race, received 40.5 percent of the vote. "I knew challenging Roby was going to be my project in 2018. I just didn’t know I was going to be the one on the ballot." I doubt it will happen but I would love nothing more than to see Roby go down. I actually voted for Roby originally and hoped she would do well, but that didn't turn out and has only gotten worse. Roby still has to get by Bobby Bright - who I used to like as mayor of Montgomery but he has read the tea leaves and figured out that if you go full Trump you get the rubes on your side. I'm seeing his sign in places that previously only had Roy Moore signs. grabbing (word I can’t say here). That is the only reason her 2016 election was even close. I keep hearing about the blue wave that is going to take over this state. The Jones win was a fluke and I don’t think Ivey breaks a sweat in her election. Sure, some will quibble over the gun control point, but the rest looks solid.